Predict the product for each Diels-Alder reaction. 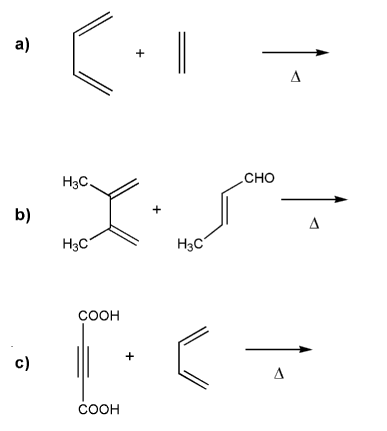 Indicate stereochemistry where appropriate. When approaching Diels-Alder problems, it's always good to user numbering: the product is always a cyclohexene compound. 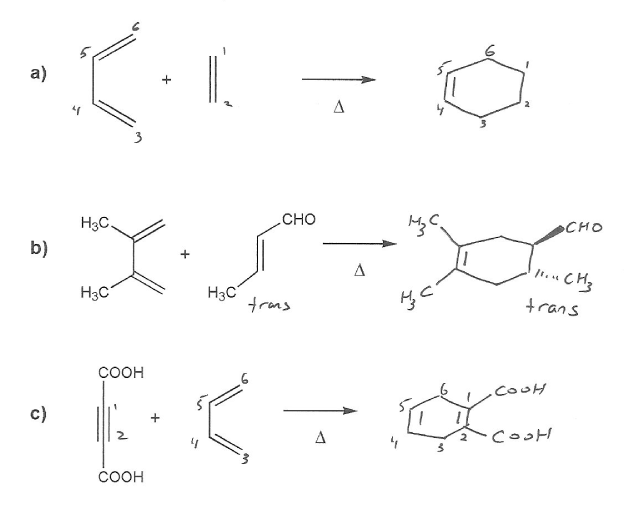 In b), the trans dienophile leads to a trans product. In c), the dienophile is an alkyne, and so becomes an alkene in the product. MendelSet practice problem # 574 submitted by Matt on July 8, 2011.